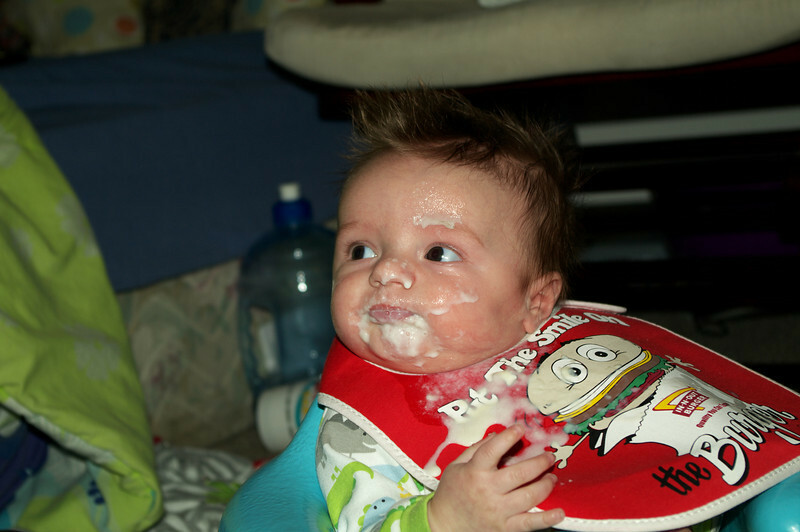 Snap shot of my Grandson learning how to eat some solids. ps to forum admin: where is 1/100 in shutter speed selection pull down? Oh, this is awesome! As soon as I saw this I laughed out loud, fantastic! The words in your describing of the scene makes me chuckle too. funny how we start and end our lives in the same way....great pic !!!!!! To funny!! I didn't think about the "end our lives", Thanks!